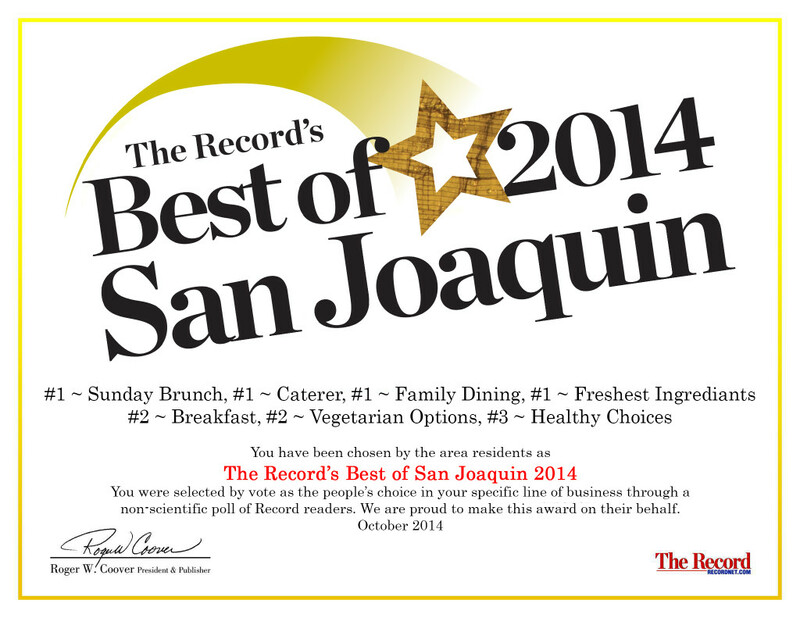 We are so thankful to all the local residents that voted for us as “Best of San Joaquin” again this year. We broke our old record and placed in SEVEN CATEGORIES! New this year is being voted the #1 Caterer, #1 Freshest Ingredients & #3 Healthy Choices. We are very proud because we have put a lot of effort into those portions of our restaurant. Thank you again for all the support, we definitely have THE BEST GUESTS OF SAN JOAQUIN!